Today the Church celebrates the day that God became man in the womb of our Blessed Mother. 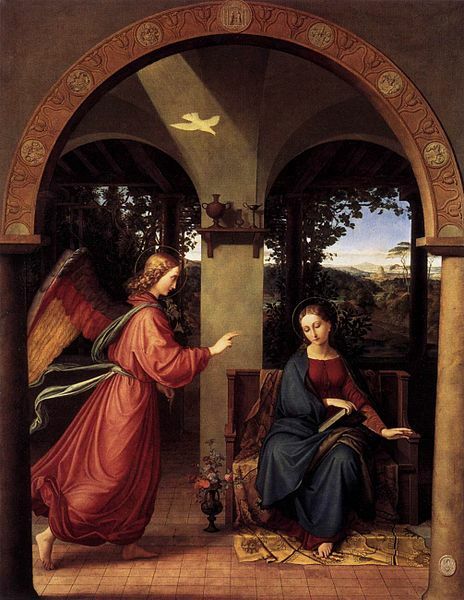 Happy Annunciation Day! May God announce to you the good news of his coming, speaking to your deepest heart a language of eternal love to be received by you his beloved with tenderness and trust. We are all sinners so let us turn to our Mother to teach us how to become her brothers and sisters in Christ. Let us turn to our sinless Mother to teach us how to defeat sin that God might grow within us as he came to life within her, by unborn moments that echo in an eternity of Divine Love. God became man. Every beat of your human heart echoes in an eternity of his love.